Marygrove College is not responsible for your valuables. Lockers are available. Lock left on lockers will be cut off. 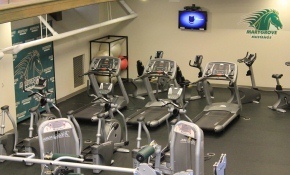 If you have questions or are unfamiliar with any of the equipment, please ask the Wellness Staff for assistance. Trust Pharmacy recommends exercising extreme caution when lifting weights to avoid potential injuries to themselves or others. When performing maximal free weight exercises utilize a spotter or staff member. Please report any facility injuries or equipment irregularities to the Wellness Staff on duty. Do not drop plates or dumbbells. 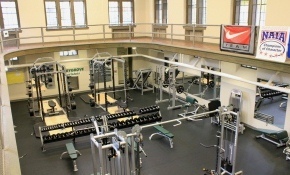 Dumbbells, weight plates, and bars should not be dropped or leaned against the walls, mirrors, and/or other equipment. Marygrove reserves the right to make any decisions related to the operation of the facility.